Another colorful glimpse into my collaboration with Cory McCrory on some wall pieces for the upcoming “Art In The Garden.” Her pieces made it through the bisque kiln. 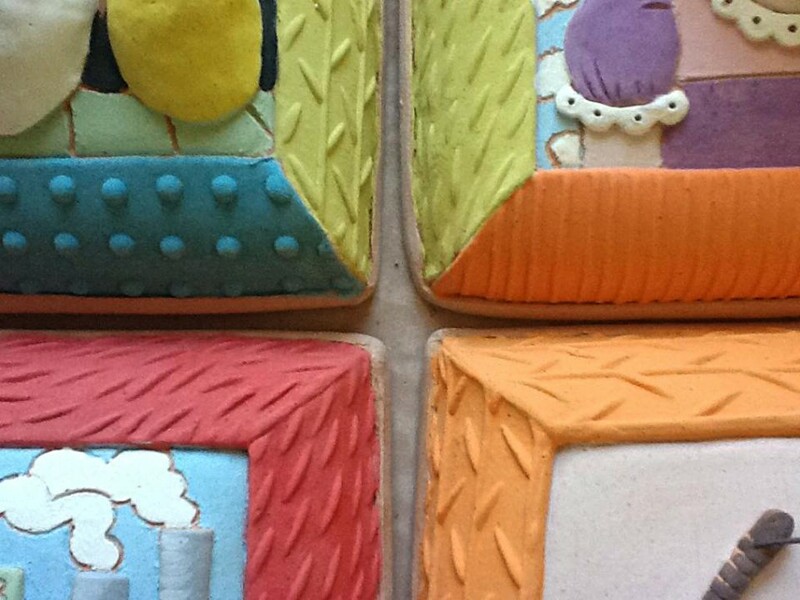 My bisqued “parts” are currently cooling in the kiln… and soon to be glazed!! !